Lions and Tigers and Bears, OH MY!...Not in this book! Chronicles the journey of Haley Rhoades from writing as a hobby to a published author. I recently finished reading a book by a complete stranger I met in a Facebook Authors Group and became internet friends with. The book is Forever Disguised, Book Two in The Angelheart Saga by Annie Woods. I've never met Annie, however, we share our love of books, ideas on writing and publishing, & posts with each other. The internet can be an amazing vehicle to close the distance between those of us with similar goals and reading styles. Annie Woods does it again. Forever Disguised is another hard to put down story of love, adventure, and new adult issues with a dash of a fairytale prince. No spoilers here. Sasha and Erica’s story continues in book two of The Angelheart Saga. Forever Disguised by Annie Woods picks up with a pregnant Erica mourning the loss of Sasha. With the help of Tyler, her friends, and family, she abandons her post-high school plans. Ever the strong heroine, she makes new plans to attain her degree while protecting her unborn heir. Lions and tigers and bears, oh my...no in Forever Disguised we find: mental illness-cutting, teen pregnancy, step-parenting, losing a loved one, coming out to parents, first year at college, royalty, the mob, a plot to overtake a monarchy, a cheating spouse, and more. No, I’m not exaggerating. It’s a keep you on the edge of your seat, closing the book in frustration, only to open it moments later desperately needing to see what happens next kind of love story. Annie’s characters leap from the pages. She writes in a way that easily creates a lifelike world that surrounds you page after page. Need to read the first book in The Angelheart Saga? Ali has many decisions to make, but choosing between a boxer and a lawyer may be the hardest. Giveaway Starting 6/3/18, enter for your chance to win a Kindle copy of Boxers or Briefs. Goodreads Book Giveaway Boxers or Briefs by Haley Rhoades Giveaway ends June 15, 2018. I've set a release date of Friday, 6/1/18 for my next book, Boxers or Briefs. I am offering a contest for readers of any of my four previous books. If you read any of my books and posted a review on Amazon, you will be entered to win a free copy of Boxers or Briefs on Monday, 6/4/18. "Okay," You say, "What is the fine print?" It's simple. Post a review to Amazon for The Proposal, The Deed, The Confession, and/or Third Wheel. That is it. Your review (s) will automatically enter you in a drawing for one of five copies of my newest book Boxers or Briefs. If you read three and reviewed three, then you receive three chances to win. Did you know that my fourth book, Third Wheel, is the three books of the Surrogate Series combined into one book? 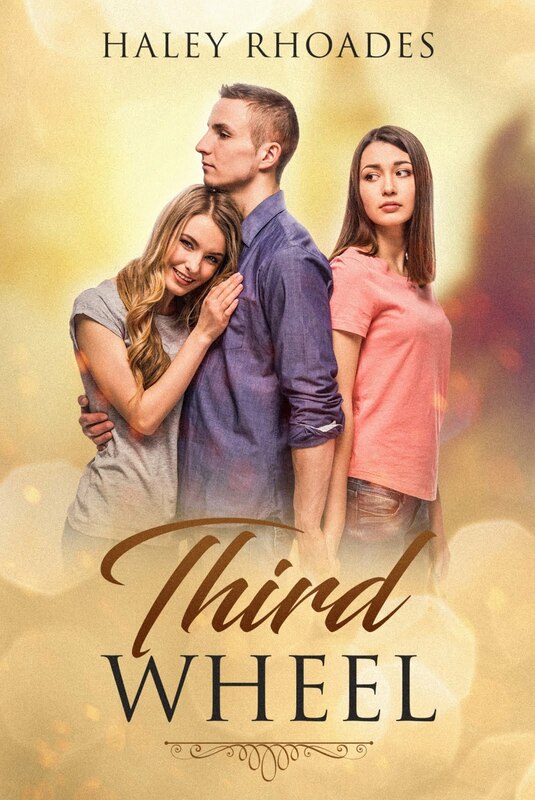 Goodreads Book Giveaway Third Wheel by Haley Rhoades Giveaway ends May 01, 2018.